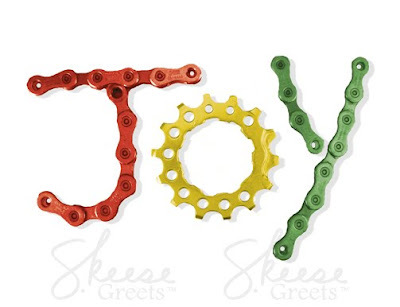 Today’s featured card is “JOY.” This Christmas Card Boxed Set of 10 must be purchased online by 11:59PM CST today (September 22nd, 2009) to receive the second one for free. It is available on the main Skeese Greets website and on the Skeese Etsy.com store. This Two for Tuesday will last until Wednesday night at 11:59 CST.